When it comes to tracking users through various funnels, there are many times when you need to send data between different systems. Using this data, you would be able to test different conversion rates at parts of your funnel or to connect data for users across different systems. This is where URL parameters can help. 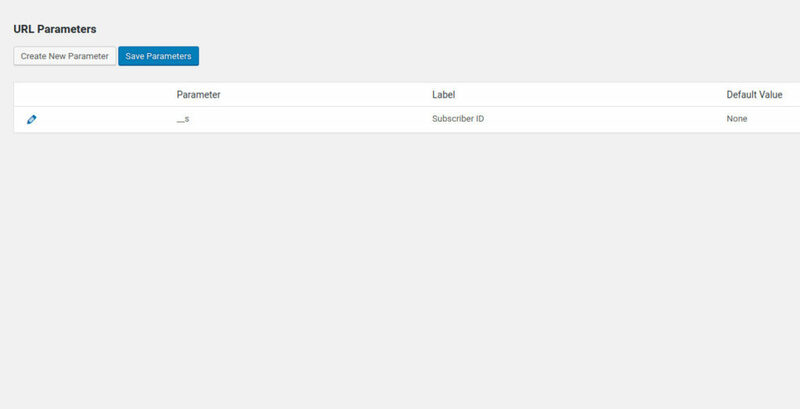 A URL parameter is a small amount of data that you can send to be attached to the results of a quiz or survey which you can dynamically change within a URL. For example, in one of our surveys, we wanted to be able to attach survey results to users within our CRM. To do this, we could pass the subscriber ID to the survey using this addon. This data is then viewable when reviewing the results. Addons include 1 year of support and updates. View license terms. 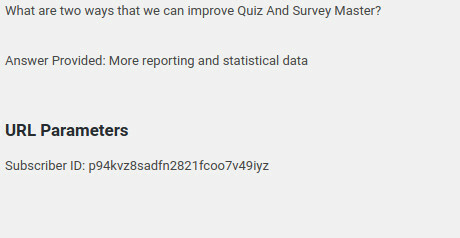 This addon requires Quiz And Survey Master 5.2.3 or newer. Requires WordPress 4.8 or newer.